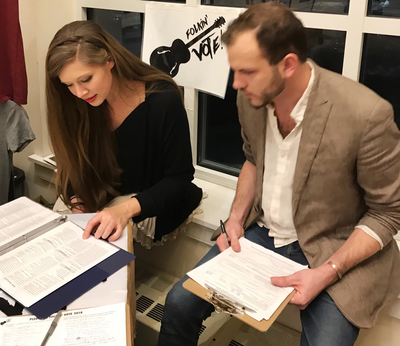 ​Throughout 2018, I have committed to helping as many eligible US voters get registered as possible. ​During this important year I am bringing registration materials and important voter information with me to EVERY SHOW I play within the United States and will be personally helping people get registered before & after each show. I have also created a pledge which current or new voters can sign committing to vote in the 2018 midterm elections, with the option to receive email reminders with important voter information prior to the election. ​Why am I doing this? Voter turnout in the U.S. is incredibly low. On average more than half of eligible voters do not vote, which means that a small percentage of the country is making very big decisions that impact all of us. We also struggle with voter suppression, where even fully legal and properly registered voters are turned away from polls or bullied out of voting. I believe this is a serious problem in our country and it hurts us all. As a full-time touring musician, I get to see many beautiful and diverse parts of this country, and meet incredible people wherever I go. I started dreaming about this initiative months ago, and decided to take action this year and see how much of a difference one little musician might make in empowering my community to make all of our voices heard. This is NOT a partisan effort— I am passionate about ALL of us being engaged and participating in our democracy (and hopefully coming together in many thoughtful conversations with one another too, across every possible aspect of the political spectrum). 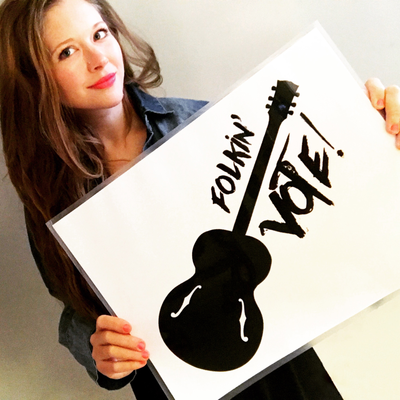 If I’ll be seeing you at a show this year, look for the big “Folkin Vote” signs and come say hello, get registered, sign the pledge to vote, even grab a form or two for your friends! Can’t make it to a show but want to get involved? Explore the links below to find out how to register, sign the pledge, or help me spread the word!! UPDATE!! 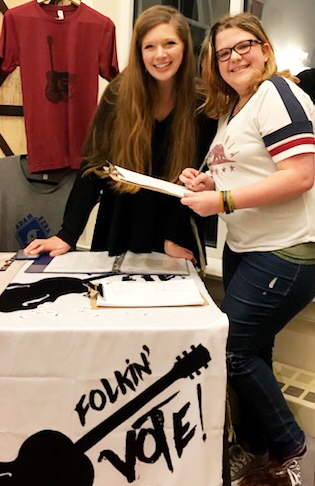 I am thrilled to share that two of my favorite colleague bands, Gretchen & the Pickpockets and Laura Cortese & the Dance Cards, have also decided to join this initiative, bringing registration forms & voter information to all of their shows as well!!! I love these bands, the music they create, and the people they are. Check them out!! NEW VOTERS: REGISTER TO VOTE! Want to volunteer? Share ideas? Join the initiative? Contact Corinna!